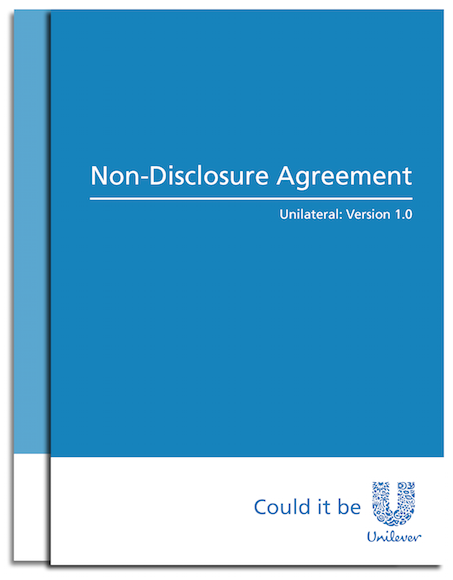 A Non-Disclosure Agreement (NDA) was created for Unilever to use with their suppliers. 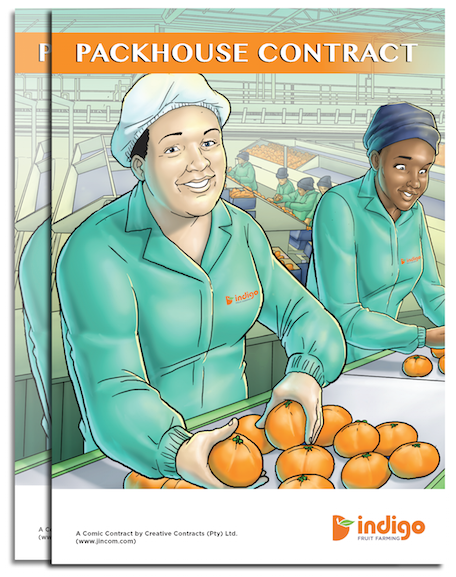 Indigo, a citrus farm, uses Comic Contracts to clearly explain the rights and responsibilities to their employees working in their packhouse. 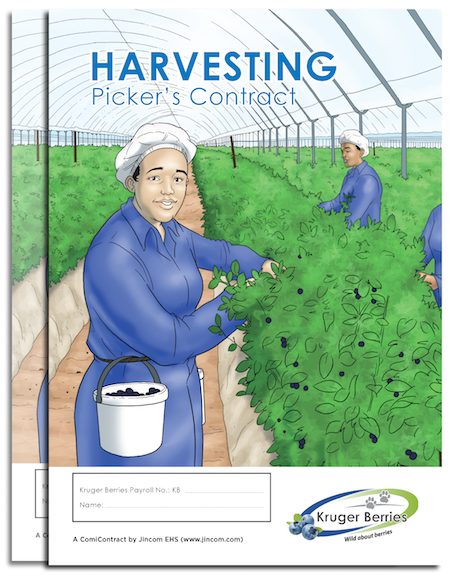 Kruger Berries is using a Comic Contract to explain the duties and responsibilities of the picker, packer and planter jobs to their employees. 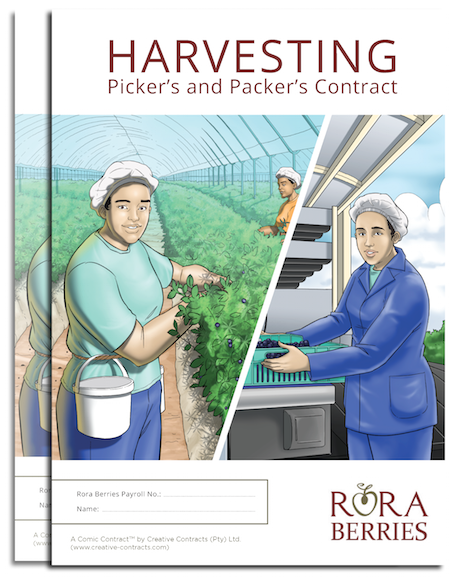 A new berry farm in Wolsely, Rora Berries, uses this Comic Contract to help explain the picker and packer jobs to their newly-appointed workers. 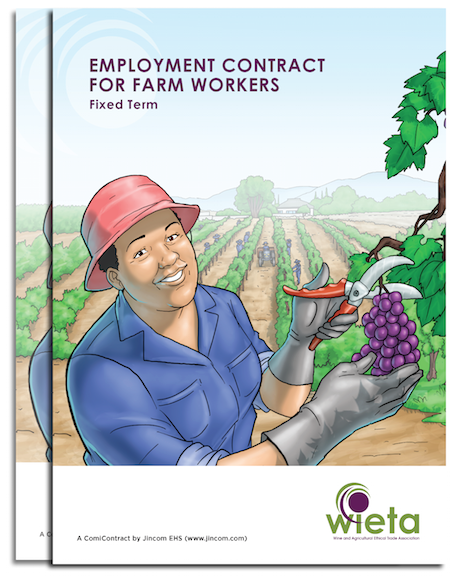 WIETA, the Wine and Agricultural Ethical Trade Association of South Africa, distributes Comic Contracts to employees working in the wine industry. 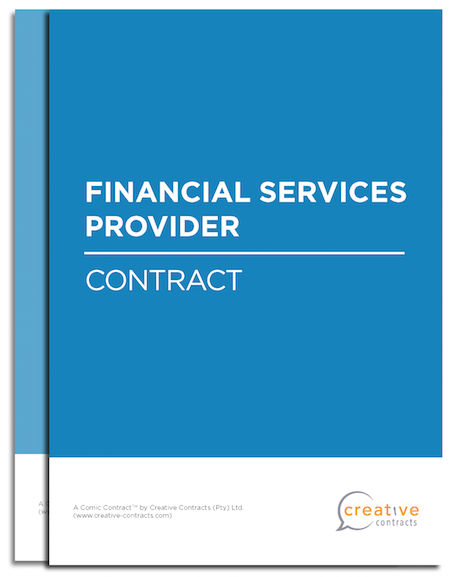 The purpose of this Comic Contract was to clarify the roles and expectations of a financial advisor and their client. 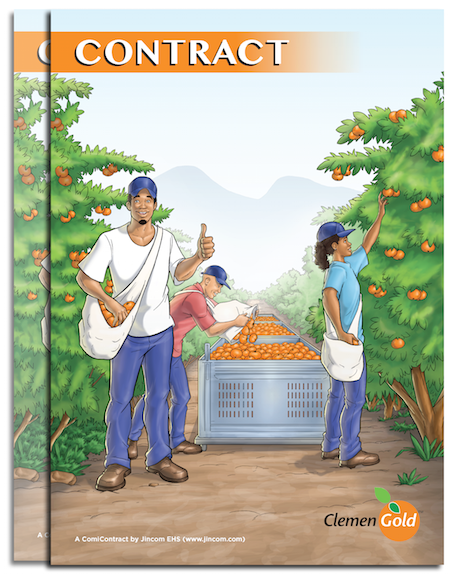 VIEW CONTRACT. 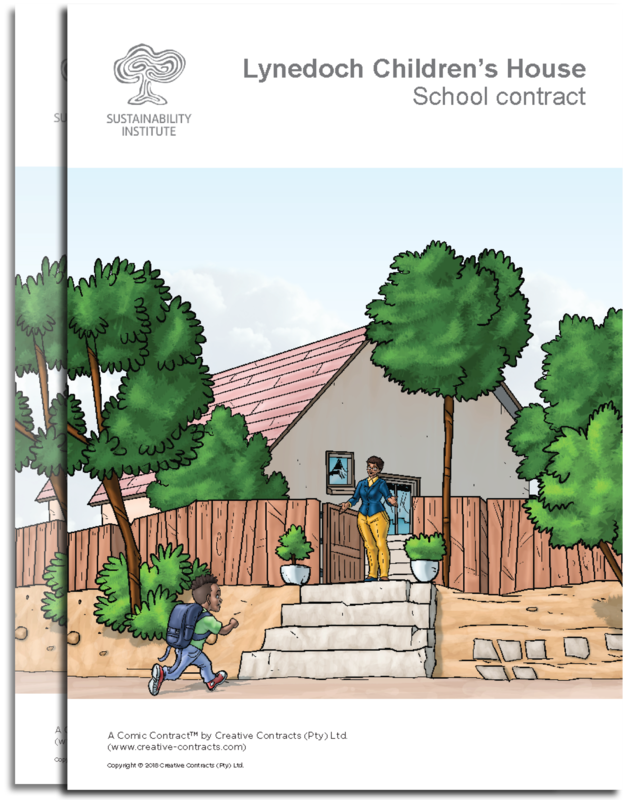 This Comic Contract was created to explain the roles and importance of the involvement of a parent in their child’s school career. 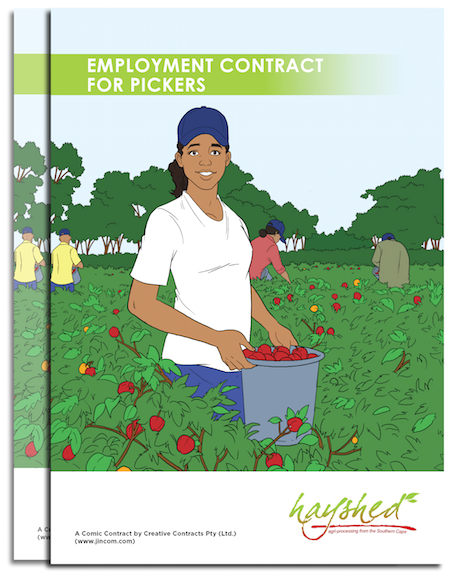 VIEW CONTRACT.